Joe A Cantrell obituary. Carnes Funeral Home. 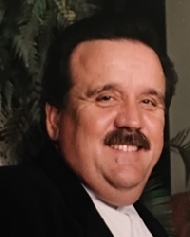 Joe Allen Cantrell, 72, of Texas City passed away on Tuesday, November 29th, 2016. Joe was born in Waco, Texas on October 20th, 1944 and is preceded in death by his parents, Burley “Roy” and Anna Cantrell. Joe grew up in Bellmead, Texas and was valedictorian of La Vega High School in 1963. He married Patricia Janet Shivers in 1969, relocated to Texas City, Texas, and began working for Monsanto Chemicals. oe had a long, full life. He enjoyed great literature, dancing, golf and tennis. He played softball and umpired amateur baseball in the Galveston County area. Joe is survived by his wife, Patricia Janet Cantrell, his daughter, Lisa Michelle Cantrell, and his son, Jason Lloyd Cantrell. Joe is also survived by long-term friend and caregiver, Leavon Kelley, and her three sons, Billy, David and Greg Haynes. A visitation will be held on Saturday, December 3rd, 2016 at 1:00 pm with a funeral service to begin at 2:00 pm Carnes Funeral Home at 3100 Gulf Freeway in Texas City.